Manchester City laid down the gauntlet last season, and Liverpool and Tottenham haven't half answered the bell. The Premier League title race we have before us is perhaps of a higher quality than we've ever seen in England. The long-standing boxing match between the top two, and Spurs' quiet, yet persistent threat at arm's length has been enthralling to watch, and though it's only February, it looks as if the slightest slip up could prove costly. That being the case, with the opposition breathing down their necks, it is understandable that ​Liverpool's recent draws with Leicester and West Ham can be seen as the pressure getting to them. The Reds had found themselves as favourites for the title, and the results that followed were less than convincing. It's a question worth asking, and whether you choose to believe it or not, the same questions were asked of ​City earlier in the season when they lost to Leicester, Crystal Palace and Chelsea within the space of four league games. In both cases, it's easy to get carried away, but in each it's important to remember that things often look very different out with the heavily blinkered context of the ​Premier League pressure cooker, and aren't quite as they are portrayed in all the media dramatics. In Liverpool's instance, so unbelievably impressive was their form in the first half of the season, that the defeat at the home of last season's centurions looked like an unbelievably poor result, and draws with Leicester and West Ham? Forget about it mate, the season's over. It's a testament to how tight the race is, and the quality of the opposition, that such a minor blip in an otherwise stellar season - 19 wins and five draws from 25 games - is seen as being definitive. And if that's all it takes for the momentum to shift, then there's absolutely no chance we won't see a multitude of twists and turns between now and May. When you're competing with one of the best sides ever to grace the Premier League, it's frightening how quickly things can change. 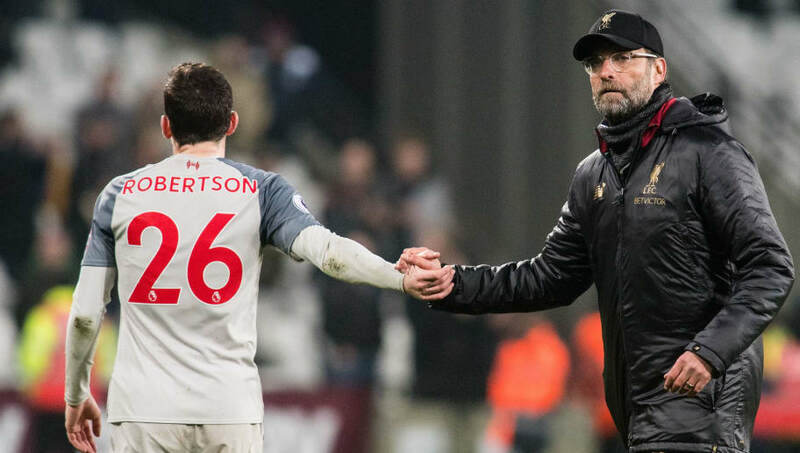 Is the pressure getting to Liverpool? It's possible. They could easily end up dropping points to Bournemouth this weekend, opening the door further to City, but they could just as easily win comfortably and be three points clear with a game in hand after City play Chelsea on Sunday. ​Spurs could end up stealing a march on one of them, or both.